Don’t Fill Up Before You Get On The Ship! There’s a buffet as soon as you get on the ship, so try not to fill up on airport bagels beforehand. The top complaint on a number of cruise lines is lack of outlets. Savvy cruise-goers bring extension cords and power strips to make the most of their cabin outlets. Warm weather brings wrinkles. Downy is the spray most suggested by expert cruisers to keep your resort wear wrinkle free. Pack a swimsuit in your carry-on so you don’t have to wait for your luggage to arrive before taking a dip in the main pool. Your cabin stateroom is not oversized, so bring the basics and travel light. There’s nothing worse than getting in and out of the pool to get your cabin card for drinks and getting everything wet. Invest a few bucks in a lanyard, and go the extra mile for the waterproof patch, so you can keep your phone and card with you while you sunbathe and swim. Our network of repeat cruisers say the majority of them didn’t realize until their third cruise that at-sea days had a fabulous full breakfast or brunch in the main dining room, not just the buffet. 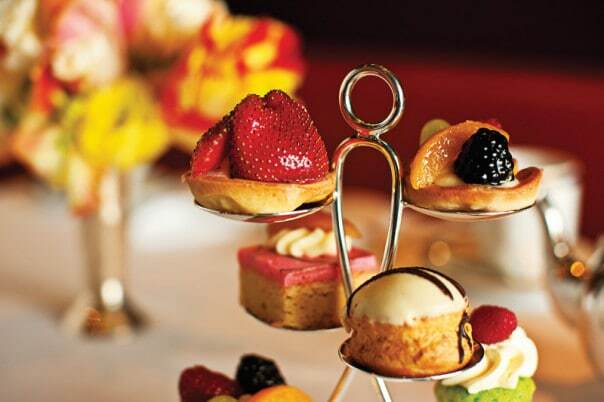 Cruise lines such as Holland America Line are known and loved for perks such as afternoon tea. Many other cruise lines are now incorporating afternoon tea in to their cruise offerings, and the hors d’oeuvres are delectable. After a day of excursions, it may be a struggle to stay up past the main show. However, the late-night comedy is worth staying up for, and will have you laughing for days. Pictures on the ship taken by the ship’s photographer come with a cost, so be sure to budget for photos.